CLOSEOUTS. 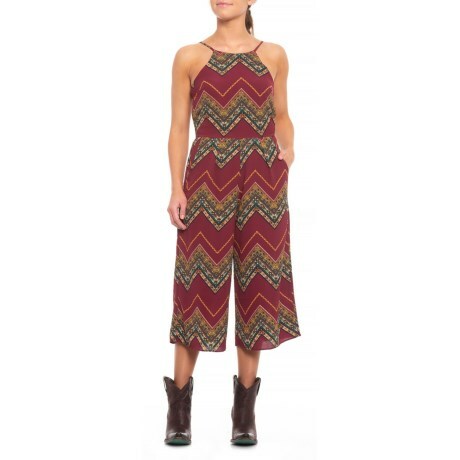 Step out on the town in Wranglerand#39;s Chevron Print jumpsuit - a shoulder-baring one-piece outfit thatand#39;s sure to turn heads wherever you go! Available Colors: MULTICOLOR RED. Sizes: S, M, L, XL.